Today, marks the launch of a new kind of learning experience known as Firebrand Max. It’s a mix of 5-star luxury and accelerated training, aimed at developing technology skills at the highest level in businesses. 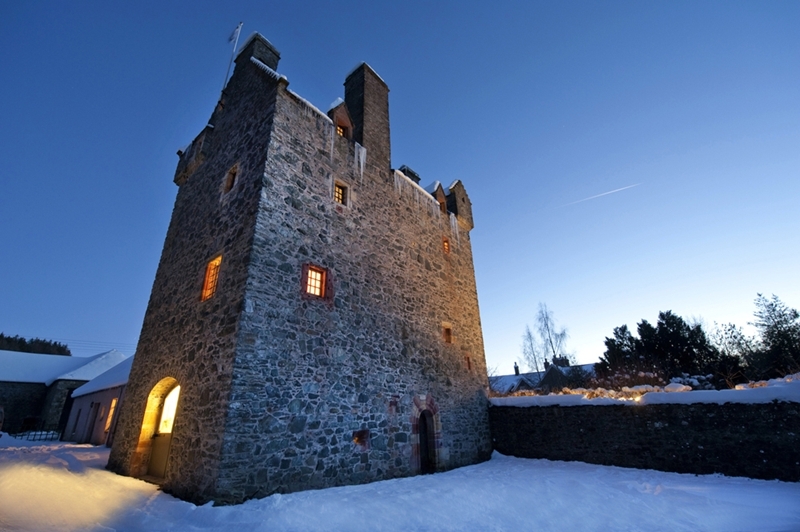 Imagine one-on-one instruction, helicopter travel, castle accomodation and you begin to get a glimpse of what’s on offer. We’ve enhanced every aspect of training to create a once in a lifetime experience. Each specially crafted programme combines up to five official and accelerated certification courses. You will develop a level of expertise that in weeks that could take years elsewhere. One-on-one instruction from an expert instructor ensures that the training experience can be adapted to your every learning need. You’ll have access to state of the art technology and super-fast broadband which further enhances and accelerates the process of learning. On-site testing and a personal exam invigilator mean you can sit an exam in the ideal environment, walking away certified. Firebrand Max will cater to your every need, allowing your complete focus to be placed on learning. You’ll be flown by helicopter to the prestigious Aikwood Tower in the Scottish countryside. The location offers seclusion, allowing you to train and sit exams in perfect isolation, away from the distractions of modern day-to-day life. No noise, no distraction from a significant other or offspring. A personal chef will craft nutritionally balanced meals to boost your energy levels and concentration throughout your stay. While a technical support team, available 24/7, ensures all systems for training remain uninterrupted. The first Firebrand max programmes focus on cyber security. Each is aligned to senior role in the cyber security sector – Chief Information Security Officer, Security Architect and Ethical Hacker. You’ll access official courses from the biggest names in cyber security suchs as EC-Council, ISACA and (ISC)2. Each programme has specially crafted to build the most in-demand cyber security skills. The same skills and knowledge required to defend against a terrifying rise in cyber crime target large scale mutlinational corporations. ‘It was an obvious decision. The frequency and sophistication of cyber-attacks is on the rise. The potential damage these attacks can inflict on the modern connected business is deeply concerning. With an ever increasing percentage of sales coming via online transactions, a FTSE 500 business being forced offline could lose upwards of £11 million a day in revenue. Firebrand are also currently exploring the possibility of programmes focussing on Cloud, Networking and the Development sectors. To discover more about Firebrand Max, head to the website. The growing IT skills gap continues to stifle the global economy. As demand for skilled professionals outstrips supply, government and business alike are unable to achieve their desired growth brought about by successful adoption of technology. There is a growing subsector within the IT skills gap which now presents a far more dangerous risk, cybersecurity. Unless the growing skills void is addressed, the increasing prevalence and severity of cyber-attacks present a credible threat to individuals, organisations and perhaps entire nations. There are individuals who might scoff at the idea of a single cyber-attack threatening an entire nation. That the cybersecurity skills gap is a real issue, I’d call them the unaware. ISACA, global leaders in information security guidance and creators of the new CSX Practitioner certification have pulled together a series of research studies to highlight the dangers. In a recent research study from Juniper Research, it’s estimated that the cost of cybercrime will reach $2.1trillion globally by 2019. That’s four times the estimated cost in 2015. A figure that happens to be significantly higher than the yearly GDP for 230 of the 238 countries listed on the CIA’s World Factbook. Financial losses on this scale are enough to bankrupt a nation who’s GDP sits below this threshold. At the very least, it would plunge a nation’s economy into financial freefall. The repercussions of which could last a generation. It’s not just countries that are at threat. According to the same research study, the average cost of a single data breach will reach $150 million dollars by 2020. TalkTalk, a UK telecoms company, is reported to have lost 101,000 customers and suffered costs in excess of $85 million dollars following a security breach in October, 2015. This single breach places a once successful company of the brink of financial ruin. All this, the result of a lack of cyber security knowledge. It’s not just hearsay, 97% of security professionals surveyed in ISACA’s 2015 APT study believe advanced persistent threats (APTs) represent a credible threat to national security and economic stability. Most individuals and organisations adopt the ‘it will never happen to me’ mind-set when thinking about cybercrime. This attitude within business is exactly the type of behaviour that results in cybercriminal carrying out a successful attack. The reality of how many individuals and organisations have been the victims of a cyber-attack is actually shocking. The Digital Crimes Unit at Microsoft reports that 50% of online adults were the victims of cybercrime in the past year alone. Many of these indviduals are still unaware their data has been stolen, that their personal details are being sold on a black market for user data. The same report highlighted that one in five small to medium size businesses have been targeted by cybercriminals. Looking at these numbers, it’s only a matter of time before the sites are set on you. Is your cyber security knowledge up to spec to protect you, or your organisation from these attackers? How big is the cybersecurity skills gap? The stats paint a bleak picture. The impact of cybercrime is vast and the future is bleak. So, if we are to close the cybersecurity skills gap, what’s the challenge? Again, it’s huge, demand for cybersecurity professionals is 3x the growth of the overall IT jobs market and 12x the overall jobs market. To make matters worse, a study from US News and World Report states that demand for cyber security professionals is growing at a rate of 36.5% through to 2022. If supply fails to meet this growing demand, we’re looking at an industry wide shortfall of 2 million cybersecurity professionals by 2019. 64% of organisations now believe that fewer than half the applicants for open security roles have the skills necessary to fulfil the role. This is causing delays of up to 6 months for organisations looking to recruit qualified cyber security professionals. This leave these organisations vulnerable to attacks. How do we fill the cybersecurity skills gap? Organisations are increasing turning to training programs, like ISACA’s Cybersecurity Nexus program, in a bid to up-skill current employees to the level required to protect their organisation. However, the reality is clear, there needs to be a serious step change. If real change is to happen, we must go back to grass roots and look at the approach to cybersecurity in the education system. If governments were to introduce cybersecurity as part of the curriculum, it would promote awareness and encourage more children to choose cybersecurity as a career pathway. The next step is for government and business leaders to recognise and react to the dangers. Thankfully, this is already happening with the UK leading the way. In November 2015, Chancellor George Osbourne announced that the UK government is planning a £1.9 billion investment in cybersecurity over the next 5 years. Effectively doubling the existing financial investment. Alongside this, business leaders and managers must be willing to recruit less skilled applicants. Before bringing them up to speed through cybersecurity training. 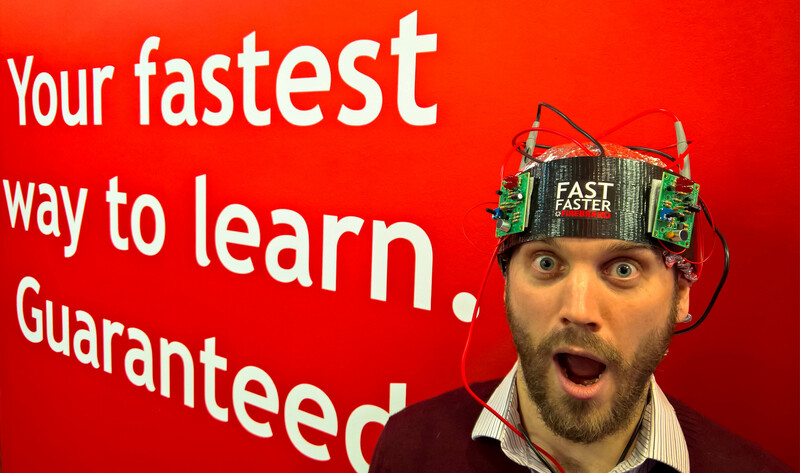 Now you can learn Microsoft in minutes and Cisco in seconds, thanks to neurostimulation. Firebrand Training is firing electric energy at students’ brains in the classroom, with astounding results. They call this ‘electric-learning’, or e-learning for short. It sounds like something from the Matrix; though increased brain functionality is possible using neurostimulation. Through transcranial direct current stimulation (tDCS) a constant current is applied to the surface of the scalp, which increases cognitive performance. Firebrand’s Learning Labs have worked with the country’s leading scientists to develop the FastLearn Headset. The student puts the headset on for 10 minutes just three times a day, and their learning speed is supercharged to 10 times the speed of traditional training. The headset wraps a magnetic coil over the student’s scalp, inducing an electrical current in the brain. Scientific studies have proven that tDCS has the ability to enhance attention span, problem solving and memory. This is because synapses are jolted to conduct nerve impulses 10 times faster, allowing information to pass between neurons more quickly. Studies showed students using tDCS were able to learn technical IT skills 10 times faster than the control group. Weeks later the students still had those new skills, meaning tDCS allowed them to unlock their brains’ true potential. With the launch of SQL Server 2014, Microsoft announced significant changes to their SQL Server certification tracks back in July 2014. At the time, the MCSA SQL Server certification track was left unaffected. For the first time, Microsoft announced that there would be no new MCSA certification for the latest version of SQL Server. The MCSA SQL Server 2012 would remain unaffected with no curriculum updates planned. That is of course, until now, as Larry Kay over at the Born to Learn blog has just announced new certification updates for the MCSA to include SQL Server 2014. Kay announced that the MCSA SQL server aligned exams were being refresh and would now include SQL Server 2014 content. This is being done to ensure the certification maintains its relevance to database professionals currently utilising both SQL Server 2012 and 2014 platforms. To reflect the inclusion of these skills, the certification will be rebranded and will now be known as the MCSA: SQL Server 2012/14. Anyone who currently holds this certification will have their transcript updated to reflect the credentials new name. At present, we are still awaiting the next Microsoft data platform, with SQL Server 2016 only available as a public preview. With that in mind, the MCSA SQL Server 2016 certification is unlikely to appear until Summer 2016 at the earliest. The trend of high profile hacks continued in 2015, with big names including Experian, Ashley Madison and Uber joining the list of victims. An IBM study now estimates the average cost of a single breach at $3.79 million for business. With businesses facing an ever present and growing threat from cybercrime, it is unsurprising that demand for IT security professionals has never been higher. However, it seems these professionals are in short supply. (ISC)2 are reporting a cyberscurity skills gap which is set to reach 1.5 million professionals by 2020. With more and more businesses moving to the new technology frontier that is cloud, demand for cloud security professionals is on the rise. Cloud presents a new attack avenue for cybercriminals as they seek to deploy old attacks on new systems. Whilst cloud computing presents many benefits, including improved security, it is critical that businesses understand the information security risks and mitigation strategies. Launched in 2015 from leading cloud and information security non-profits, the Cloud Security Alliance and (ISC)2, the CCSP credential develops and demonstrates these skills. On a CCSP course you’ll develop and demonstrate practical skills in areas including cyber, information, software and cloud computing infrastructure. With the certification on your CV, companies will know you have the skills to protect their data assets in a cloud environment. EC-Council’s Certified Ethical Hacker certification is the go to credential for professionals looking to protect an organisation from black hat hackers. The information security training program gives you the skills to beat a hacker, by teaching you to think like a hacker. The curriculum for CEH training went through an updated in October, 2015. Now on version 9, the new course teaches you 270 attack technologies, commonly used by hackers. You’ll also work through labs which mimic real time scenarios to help you ‘live’ through an attack and develop practical skills relevant to the workplace. You’ll walk away from the course with advanced hacking skills which are in high demand. Put into practice you can identify and provide solutions to security weaknesses identified in a business’s systems, software and networks. This is done by actively attacking their systems. In 2015, ISACA launched the Cybersecurity Nexus™, a brand new program designed for cybersecurity professionals. Broken down into three certification levels, the CSX program aims to develop practical skills for real world application in modern day information security roles. Level 1 – Identification and Protection – build foundation security skills to identify key networks and develop required protection mechanisms. Topics will cover network scanning and security control implementation. Level 2 – Detection – build the skills to detect potential network events and incidents by learning core concepts, methods and tools used to leverage cybersecurity controls. Level 3 – Respond and Recover – learn to contain an attack, protect your assets and infrastructure, and the critical processes and features of an all-encompassing incident response plan. This practical program developing hands-on skills is set to be one of the most sought after IT security certifications in 2016. If you’re looking to break into a career in cybersecurity, then the CompTIA Security+ certification is a great place to start. The certification is globally recognize and trusted to validate vendor neutral, foundation IT security knowledge and skills. Attending a CompTIA Sec+ course will develop knowledge in network security, compliance and operation security, threats and vulnerabilities as well as application, data and host security. Approved by the U.S. Department of Defense and compliant with government regulations under the Federal Information Security Management Act (FISMA), this credential has significant value throughout the US marketplace. A top IT security certifications list is never complete without the globally recognized (ISC)2 CISSP certification. Hailed as the gold standard of information security certifications, the credential is sought by IT security experts worldwide and is often the gateway to high profile information security roles like Chief Information Security Officer (CIO). Like the CEH, the CISSP training course also received a curriculum update in 2015, moving from 10 to 8 knowledge domains. Attaining the credential will prove you have the technical knowledge and skills to develop a security program against a set of globally recognized standards to protect a business. You’ll learn skills in security operations, network security and asset security amongst others. The cert is aimed at experts and so has strict prerequisites demanding a minimum of 5 years’ experience in 2 of the 8 domains. Edward works for Firebrand Training as a Technical Writer within the Marketing department. His works are widely published, featuring in high-end publications including TechNet, Entrepreneur and TechRadar. At the beginning of 2015 Edward was named in Microsoft’s IT Pro New Year’s Honours List. As businesses continue to deploy cloud infrastructure and operating models within their organizations, we are entering an era of change for the role that networking plays. New infrastructure, applications, access and traffic are changing what is happening on the network. The fundamentals of what you need to do with data on a network hasn’t changed. However the different combinations of cloud service and deployment models require changes in network architecture, services and resources. Networking has to change, and with it so to does the role of the network engineer. To take advantage of the changes in technology you must evolve to develop skills and knowledge of cloud networking. With World Bank studies estimating the need for 220,000 new network engineers every year from 2015 to 2022, now is the perfect time. Networking giant, Cisco, have launched the new CCNA Cloud certification, specifically designed to develop the requisite skills and knowledge for companies and individuals looking to embrace the cloud. What is the CCNA Cloud? The Cisco Certified Network Associate credential (CCNA) has long been the critical first step to a successful career in networking. The first and most popular CCNA course in routing and switching has since been joined by specializations including security, wireless, data center and collaboration. Cloud is the latest in this growing list of CCNA specializations. The CCNA Cloud is a job-role based career certification aimed at cloud engineers, cloud architects, network engineers and network administrators. It was developed to build and demonstrate critical skills in cloud. You will learn to build private and hybrid cloud IaaS, allowing IT to facilitate and manage enterprise-wide cloud deployments. Attaining the CCNA Cloud certification will prove you have the skills and knowledge required to design, install, and maintain Cisco Cloud solutions in SMB, enterprise cloud and data center environments. Unlike some of the other specializations, the CCNA Cloud course requires no prerequisite certifications. However, it’s recommended that you have an understanding of network, compute and storage fundamentals. Doing so will avoid some steep learning curves. What should I do after CCNA Cloud? Networking and Cloud: An Era of Change – this white paper is a fantastic introduction looking at cloud and how it’s changing the networking world. There is some fantastic information on the different types of cloud service and deployment options, and how these impact the network. CCNA Cloud Study Group – does exactly what it says on the tin. Connect with like minded networking professionals focused on the same goal, training for and passing the CCNA Cloud exams. Cisco Learning Network – the platform offers up some fantastic training resources including past webinars and video guides. Pay specific attention to the SDN Recorded Seminars and TechWiseTV. The platform also has some great study material and practice guides. Cisco Press – Understanding Cisco Cloud Fundamentals – this mini knowledge base is held on the Cisco Press platform. There is some great introductory information, but if you are looking for real detail, you’ll need to pay. As well as the following resources you can also take an official course. Firebrand offers official Cisco courses with an accelerated 6 day CCNA Cloud course across our training centers in Europe and the Middle East. Cyber-attacks are considered one of the top 10 threats to businesses in 2015, a survey from AON solutions revealed this week. This follows shocking news that cyber-criminals have now attacked 90 per cent of major British companies – costing the economy tens of billions of pounds. A top official at the GCHQ spy agency warns the country will continue to face ‘chronic, advanced and persistent’ threats every day. It’s therefore unsurprising this year has seen the release of new and advanced cyber security training certifications, created to arm the industry with new skills and neutralise this ever present and escalating threat. Earlier this year Cisco launched the threat detection and mitigation focussed Cybersecurity Specialist credential. (ISC)2 recently followed the launch with their Certified Cloud Security Professional certification built in partnership with the Cloud Security Alliance. Now ISACA has joined the party with the new Cybersecurity Nexus (CSX) program. In this post we’ll take a closer look at the CSX certification track, discovering where it sits within the cyber security training and certification landscape. What is the Cybersecurity Nexus? The Cybersecurity Nexus, CSX for short, is ISACA’s brand new skills-based cyber security training and performance-based certification path. It was created on the principal that having knowledge is no longer enough in this increasingly complex and ever-evolving cyber security landscape, it’s about developing and proving the technical skills required to do the job from day one. At face value it’s easy to draw comparisons with the advanced CISSP certification from (ISC)2. The CSX certification path, much like the CISSP, takes a holistic approach developing a series of security skills in different domains, but that’s largely where the similarities end. The CSX program deserves recognition as its own unique entity. Unlike most traditional certifications, which test knowledge in a question and answer format, the CSX training and exams take place in a live, virtual ‘cyber’ environment – validating actual technical skill, ability and performance akin to doing the day job. 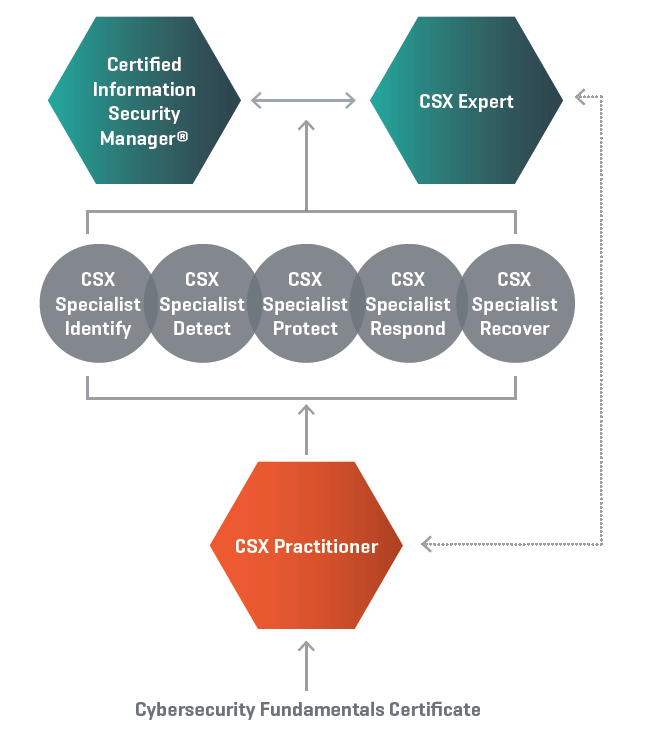 The CSX certification path is split into three levels – Practitioner, Specialist and Expert – let’s take a closer look. Earning the CSX Practitioner certification demonstrates you have the skills to act as a first responder, following established procedures, defined processes and working mostly with known problems on a single system. You’ll develop firewall, patching and antivirus experience whilst demonstrating you can implement common security controls, perform vulnerability scans and analysis. If you’re looking to build a strong foundation of cyber security skills, it’s recommended you do all 3. At this level, there is only one CSX Practitioner exam which does not require you to take the courses. However, the practical skills and knowledge tested will be based on content from the courses. The exam is expected to land any day now. Once attaining the prerequisite CSX Practitioner certification, you can move on to the CSX Specialist series. This level is split into five independent certifications and exams focussed on individual speciality areas – allowing you demonstrate a deep technical knowledge and ability in that domain. Like the CSX Practitioner, the courses are not required to take the exams, though it’s highly recommended. The CSX Specialist exams are due for release July – September 2015. Earning one, or more, of these certifications will provide a serious boost to your cyber security skills enhancing your employability. The final and most advanced certification is the CSX Expert. Attaining this certification will establish you as a master-level security professional. You’ll develop and demonstrate the skills to identify, analyse, respond to and mitigate most cyber security incidents. You’ll set yourself apart as the authoritative source for all cyber security matters within the organisation. Sitting on the same level as the Certified Information Security Manager (CISM) certification, you’ll be tested on knowledge from all domains learned during the Practioner and Specialist pathways. In the likely event the CSX certifications follow in the footsteps of the globally recognised CISA and CISM certifications, you may want to think about working towards the knowledge required to attain them. At present, there are no commercially available courses for the CSX. However, ISACA are already working with training partners (Firebrand is one of them) to create an official training schedule across the globe in multiple offerings including online, classroom and self-study formats. Keep your eyes peeled for dates. Today marks the launch of Free Training for Life – a unique competition – where one person will win a lifetimes free access to Firebrand’s 180+ courses. Used to its full potential, the prize offers a career and life changing opportunity. The winner can access training to develop the most in-demand skills on cutting edge technology. This level of professional development creates opportunities to pursue new and exciting job roles, secure that coveted promotion and ultimately boost future earning potential. As a Microsoft Gold Learning Partner, you can access the full range of certification tracks. Train from MTA, through MCSA and right on to MCSE or MCSD. Develop the skills to administer Windows Server 2012 , deploy and manage a hybrid cloud with Azure and System Center 2012 or even create modern web applications and services using Visual Studio 2014. So you can administer and manage your organisations technology assets, with Free Training for Life go one step further and learn how to protect them by taking EC-Councils Certified Ethical Hacker Certification. You’ll develop knowledge of the techniques and methodologies used by hackers to attack your systems and networks, then learn how to defeat them. In time you can work towards the gold standard certification for information security professionals, (ISC)2’s CISSP certification. A certification like this can help you to become a CIO. Develop the skills to begin a career in Networking working with Cisco technology and climb the ladder to Senior Network Engineer earning up to £60,000 a year. With Free Training for Life this is all possible by following the Cisco certification path. Start out with the CCENT and then move on to the CCNA (Routing & Switching) certification before achieving the Cisco CCNP (Routing & Switching). So what are you waiting for? Enter Free Training for Life today for your chance to win the prize worth an estimated £1 million. The IT Industry moves quickly. To stay current in 2015, you’ll need to align your skills with the most popular existing and emerging technologies. And what better way to prove your skills by attaining the certifications associated with these technologies. Check out this list of IT certifications to target in 2015. Demand for cloud skilled professionals has reached an all time high. The IDC predicts that this demand has far outstripped supply with an estimated 7 million cloud related jobs being left unfilled by the end of 2015. Put simply anyone who can demonstrate cloud skills is hot property. Developing Microsoft Azure Solutions – aimed at Developers, attaining this certification will demonstrate the skills required to taking your existing Web and Windows Store Applications and expanding their functionality by deploying them on the Microsoft Azure platform. Implementing Microsoft Azure Infrastructure Solutions – attaining this credential shows you have the skills to migrate existing on-premise infrastructure to the Microsoft Azure platform. Demand for professionals attaining this certification is likely to skyrocket in 2015. With Windows Server 2003 End of Service looming, businesses have little option but to migrate to their infrastructure to the likes of Azure or face huge financial consequences. Recent high profile hacks of Sony and Google continue to highlight the importance of implementing robust cyber-security practices. The financial impact of a single data breach can cost upwards of $1 million, not to mention the damage this does to a brands reputation. As a result, much like with cloud, the demand for professionals who can demonstrate cyber-security skills is at an all time high. The CEH certification from EC Council is hugely popular and is renowned for being the worlds most advanced ethical hacking course. Attaining this certification you will demonstrate you have the skills required to boost any organisations cyber-security stance. You’ll learn how to penetrate networks and computer systems using the same methods and techniques as hackers. By doing so you can identify and patch weaknesses, making your organisation resilient to cyber attacks. In recent years we’ve witnessed an explosion of data, bandwidth and processing power giving rise to a new breed of IT professional known as the Data Scientist. Evolving from a business or data analyst role, a data scientist helps businesses identify and address problems by analyzing data on a huge scale spotting trends and anomalies. The demand for Data Scientists is growing rapidly with 69% of IT professionals expecting a skills gap in 2015 according to a recent study by EMC2. Fill that gap by attaining the CCP:DS an demonstrating you have the skills to work with big data at an elite level, whilst designing and developing production-ready data science solutions. Edward works for Firebrand Training as a Technical Writer within the Marketing department. He spends his days thinking up topics for surveys, articles and concepts for informative infographics. Firebrand Training is delighted to announce the second winner of the Free Training for Life (FTFL) competition. A prize estimated to be worth over £1 million*. 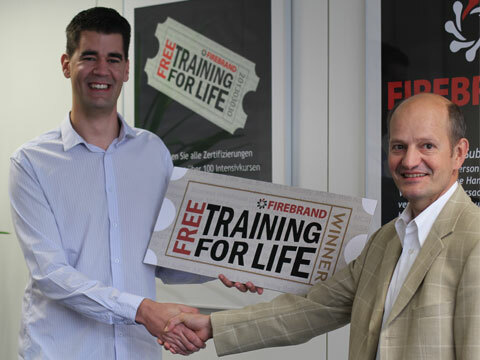 Starting today, Mario Henkel will gain access to a lifetime’s worth of free training courses and exams from Firebrand. He’ll be able to choose from 200+ IT, security and project management courses. The 26-year-old from Aschaffenburg, Germany, currently works for ponturo consulting AG as an IT Administrator. Mario’s prize includes all training fees, exam fees, course books, food and accommodation, and he can take the training in any of Firebrand’s training centres across Europe. Firebrand would like to thank all 15,000 contestants for entering Free Training for Life and wish them well in their future careers. If all entrants made the choice to take at least one certification course with Firebrand, they would increase their salaries by around £75 million** over the next year. * £1 million is calculated based on a 25 year-old winning and choosing £15K of training a year for the next 40 years with an inflation rate of 2.5% per year. The total value of training over 40 years would be £1,011,038 million. This is the place to find how-to guides, resources, tools and answers for all IT technologies, including Microsoft, Oracle, VMware, Cisco and Linux. Learn about a range of topics including: networking, databases, security and virtualization.